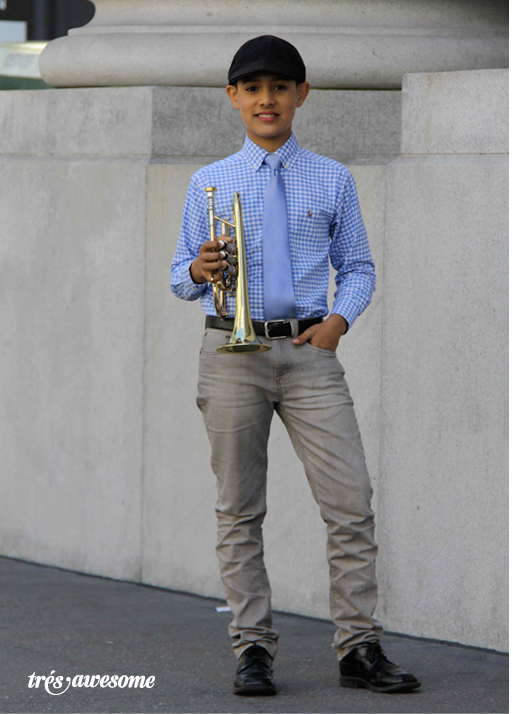 While wandering around Union Square in San Francisco a street musican started to play this really great sounding music, as I turned the corner I found Gabriel playing his trumpet on the street around Union Square. 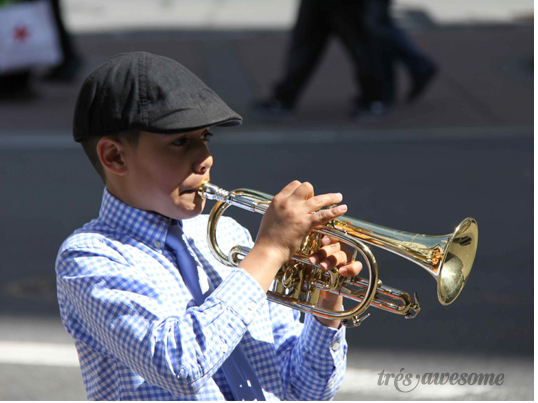 Surprisingly this mature sounding jazz was not being played by an adult, but by 11 year old trumpet player Gabriel Angelo. He's an amazing up-and-coming talent with a remarkable amount of drive and determination, for someone of any age. Also can we talk about his clothes. I've never seen a young person with such a sophisticated take on personal style. I spoke with his mother (who takes him out to play on the street regularly) and she said he studies menswear designers on the internet, particularly Ralph Lauren. It definitely shows. Gabriel looks like he just walked off the set of a kids Polo ad. Oh and did I mention he has a blog? Read all about about Gabriel Angelo here. Splendid photos and comment about Gabriel. But a small correction is needed; it is a cornet he is playing not a trumpet!